In recent times, when businesses are getting exceedingly dependent on information technology (IT) for critical applications and achieving their respective business goals, the demand for efficient data centers has risen to ensure efficiency and productivity of IT management. The decision of switching to a cloud-based or virtualized computing environment can be overwhelming for some companies. Therefore, numerous data center infrastructure support service providers are taking efforts to not only make this a smooth transition, but also aid in the process of deciding which systems are best suited for cloud software. As a company grows and its computing needs evolve, the company might face the dilemma of whether or not to build data center infrastructure. As a result, a number of businesses are entering into partnerships with IT firms with structured approaches. The data center infrastructure support services provided by these firms can significantly reduce the costs of maintenance, investments, and upgrading of IT infrastructure. Over 40% reductions in costs are observed, with some instances exhibiting savings as high as 70%. The account management process is also simplified. Some in-house groups of technicians also ensure the availability, maintenance, and security of mission critical data and applications. Greater control and enhanced flexibility are some other benefits offered by these services. The data center infrastructure support services allow companies to deploy and redeploy systems in any desired configuration. These services also ensure that companies are free to use post-warranty hardware, further reducing the overall costs. Furthermore, opting for third party data center infrastructure support services extends the lifespan of the existing hardware beyond the OEM-determined life limit. Consequently, the total cost of ownership also declines. Thus, more capital is available for investments in strategic projects, helping companies grow and realize their objectives. The sheer volume of data generated across organizations around the world is staggering. This has spurred the demand for efficient and advanced data storage solutions, thereby giving impetus to the global data center infrastructure support service market. The proliferation of data centers is happening at a great pace around the world. These data centers have emerged as computational hubs for end users and are fuelling the demand for appropriate infrastructure to support the novel technology of storing critical data. Since data centers offer the much need support to enterprises in managing business operations, their deployment is likely to surge at an exponential rate. Furthermore, with the advent of green datacenters as advanced repertoires for storage, management, and dissemination of critical information, the demand for data center infrastructure support services is expected to increase in response. The global data center infrastructure support services market can be segmented based on type of solutions, vertical, size of data center, service, and geography. The report studies the various factors impacting the market’s growth across all these segments at length. It also presents insights into the growth drivers encouraging the market’s growth and those that could restrain its trajectory. Favorable government policies and reduction in operation cost are the key factors fuelling the demand for advanced data center infrastructure support services. The market is also expected to gain from the increasing demand for green data center solutions, the increasingly diverse services offered by data centers, and the increasing allocation to IT budgets. While the market is expected to profit from the dynamic IT workloads, non-availability of advanced technologies such as the air replacement technology and high cost of maintenance could pose significant threat. Nevertheless, in the coming years the growth in enterprise virtualization is expected to bolster opportunities for the global data center infrastructure support service market. The proliferation of cloud computing technologies will fuel the demand for data centers subsequently providing momentum to the data center infrastructure support service market. In addition, the innovation of novel technologies are leading significant cost reduction thus fuelling opportunities for the overall market. By solutions, the global data center infrastructure support service market can be bifurcated into support infrastructure solutions and IT infrastructure service. The IT infrastructure service segment can be further classified into networking, servers, and storage. Meanwhile, security solutions, management software, cooling solutions, uninterruptible power supply (UPS), and rack service constitute the key segments within the segment of support infrastructure services. Based on type of service, the market can be segmented into monitoring services, professional services, and system integration services. 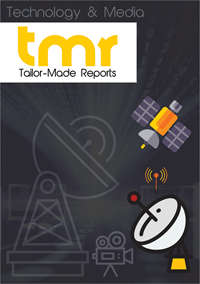 In terms of vertical, banking and finance industry, retail sector, healthcare industry, telecommunications industry, and media and entertainment constitute the key market segments. Some of the leading players operating in the global data center infrastructure support service market are Schneider Electric SE, Tripp Lite, Rittal GmbH & Co. KG, STULZ GmbH, Raritan Inc., Eaton Corporation Plc, and Emerson Network Power.